soft reached, the project will live! As a P2P platform, the system enables users to decide themselves whether to use any of variable services and applications. This in turn allows to almost completely reduce transaction costs. Datarius serves as a direct link between lenders, borrowers, and the related services – managers, analysts, insurance companies, funds, trading terminals. To provide a high level of automation, which will help overcome the classic stereotypeness of both the system and services, and communication with the consumer. To socialize the fintech product through open comments on participants and transactions, through “people’s” ratings and trust limits. To get away from the annoying imposing of the product line. To stand with the customer and to provide an active and competent participant with the opportunity to earn profit along with the project through special functions, co-branding and partner programmes. To become open and transparent in everything. We want to demonstrate by our own example that the decentralization and lack of boundaries are benefits, and that a financial company can and shall be a partner, a guide and a friend. Our main task is to provide people from all over the world with a free and equal access to the maximum number of financial products. Our primary mission is to create an entirely new transparent financial product. To provide a customer with clear tools and greater opportunities. To ensure freedom of choice and action. - a trust limit system with the opportunity to set a limit for a particular user / group / all users according to the pre-defined criteria, which makes the system even more social. We would be glad if you share our concept and idea of the project. We would be grateful for any personal participation and support. “Better to light a candle than to curse the darkness” (Confucius). There are a few more basic differences from the traditional banking system, which should be emphasized. The Datarius Cryptobank secures all communications through the higher-order cryptographic protocol. The bank uses: an asymmetric cryptography to authenticate exchange keys; symmetric encryption to preserve the confidentiality; message authentication codes to ensure message integrity. The Datarius Cryptobank works with the maximum set of predefined classes, procedures, functions, structures and constants provided by the external applications or operating systems. They are used in external software products to enhance customer convenience. The Datarius Cryptobank has integrated a computer algorithm into all the financial instruments provided. The algorithm is designed for the establishment and support of commercial contracts between the system users. The Datarius Cryptobank analyzes the physical and behavioral traits of its users to identify and control access to financial services. The Datarius Cryptobank is committed to build relationships between users under the many-to-many pattern. The Datarius Cryptobank relies on aggregate values available through the analysis of enormous volumes of structured data, which are effectively processed by horizontally scaled software tools. The scoring analysis of the Datarius partners is based on the customers’ behavioral patterns in the future rather than on the statistical data of the past due to the use of intelligent systems. 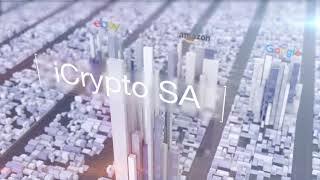 Datarius Cryptobank develops its architecture on the blockchain technology – a digital transaction ledger, which can be shared with a distributed network of market participants and literally change the logic of business management. Sterling bank on your mobile phone screen! 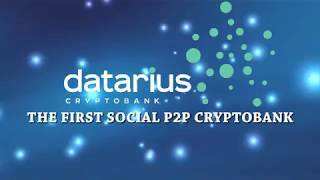 Datarius is the first social P2P cryptobank. We decided not to impose any services to users. We will provide three listings with the different trust levels – from the borrowers minimally verified by the system algorithms and to the completely transparent borrowers, thoroughly reviewed by the project’s Risk Department. Any interested user, at any time, can personally order one or another related service – in-depth computer evaluation, evaluation by project partners, evaluation by the Risk Department, evaluation by user-managers. The results will be immediately available to all other users. Accordingly, one or another application can automatically shift from one listing to another in keeping with the wishes of the project participants, and not merely as preferred by the submitting user. Thus, Datarius provides its users with complete freedom of choice both in terms of actions and cost. Datarius also provides its partner projects, including blockchain, as well as simple professional users or users who have completed training, with the possibility to increase their status in the ecosystem and independently determine the cost of their services and earn with the project, acting at the same time as a participant and a consumer of services. What makes Datarius stand out from the similar projects? 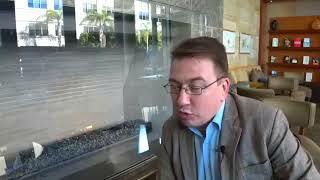 First and foremost, the Datarius project was intended as a unique social fintech project. What does it mean? We decided to provide our users with almost full freedom of action and to completely remove the team core from the main project’s functions, reserving only the platform technical support, a wide range of additional services and marketing. This step paves the way for minimizing the cost of all services. The cost of all services will be build by the users independently, thanks to a convenient designer. Almost at any step, absolutely any user will be able to order any additional service provided directly by the Datarius Cryptobank team or by accredited third-party services. Datarius is the first project aimed at implementing the most frequently used and popular functionality in a “single window” mode. We implement the best classical solutions, remove the drawbacks, make it available from any nook of the world, socialize and get the product, which most relevant to the market requirements and needs. Please, tell us more about the team. Where are you from? What is your expertise? Information about the project team is fully open and can be found in our draft of White Paper. We have a very international team. Physically, we are all scattered around the globe – from Malaysia to Costa Rica. Every member of the team is a real expert in his/her field. The entire Datarius core has no less than 10 years of the continuous work experience within its field of competence. The core management team has experience in banking and financial spheres, including work with non-performing loans, experience in large international companies. The technical arm of the project is ultra-class professionals, enthused about their work and pioneers in the field of decentralized technologies. We also have a strong legal support. When do you plan to show the MVP? Due to the research results in response to the market request and with a view to optimizing the processes, we have found it necessary to change our initial plans. The user interfaces and the basic platform for P2P lending are almost ready, but we decided to implement the project on our own blockchain right away. Today, we are working on the description of the terms of reference. According to our road, we plan to get a pre-alpha version of the basic system by June, 2018 and on April 2, 2019 to already launch a fully-developed commercial product for a wide audience of users. Why is DTRC token unique? DTRC token is a unique access key to the future cryptobank. All Datarius Cryptobank services will be available through DTRC tokens. To provide or get a loan, to access the Trust Limit, to invest in package investments, to participate in the formation of a package loan offer and much more – all this will be possible exceptionally in DTRC. The final number of Datarius ecosystem tokens will be determined through the main round – ITO. Thus, no matter how many tokens have been released up to the last second of the ITO – this number will be final. There will be no additional token emission. Never. The popularity of the First Social Cryptobank Datarius will grow, the number of users will increase, the list of financial instruments will be constantly extended and enhanced, and the number of tokens (the main tool) will forever remain the same. Moreover, ALL active users of the Datarius ecosystem will be rewarded by a special DTRR (DaTaRius Reward), which amount to 65% of all Datarius fees and charges. What is the price of the DTRC token now and what will it be over N time? We do not sell DTRC tokens. Anyone wishing to become a contributor of the project pays for the registration and data processing, and receives tokens as a bonus. The nominal value of the DTRC token is 0.01$. Starting from the 15th day until the end of the ITO, only referral bonuses will operate. We cannot and do not have the right to guarantee any growth of the token on the free market. Answering this question, we should emphasize the following fact: the final number of the Datarius ecosystem tokens will be determined through the main round – ITO. There will be no additional token emission. Never. In turn, we expect a continuous increase in the number of the ecosystem users and project it to reach 1,000,000 of active users by May, 2019. Which benefits will the DTRC token holders experience? All users who own DTRC tokens will have an exclusive opportunity to participate in attracting new users to the Datarius ecosystem. They will also be monthly rewarded by a special DTRR (DaTaRius Reward), which amount to 65% of all Datarius fees and charges. The Darius Project, being the first social cryptobank, retains only 35% of the company's profit for maintaining the system's efficiency, modernization, popularization and expansion. What will be the total number of the DTRC tokens emitted? When and which exchanges will the DTRC token be available on? The list will be determined within 14 days upon the ITO completion. 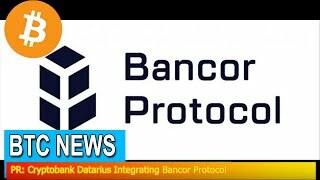 Immediately after the ITO ends, the DTRC token becomes available in the pool of our partner Bancor. How to participate in the ITO? How to know the date of the ITO completion? May I pay in fiat money? You can pay in fiat currency, but you should know that in this case the tokens will be emitted only upon the payment receipt – this means that you might not be in time to get bonuses. The exception is the confirmed intentions, previously agreed with the project coordinators (a blank sheet), as well as contributorship before the launch of the ITO (in this case tokens will be credited at the moment of the ITO launch). It is also worth taking into account that the DTRC token is an ERC20 token, which means that you will need the Ethereum wallet IN ANY CASE. Which bonuses will be available during the ITO? What is the minimum amount to participate in the ITO? Do you have any escrows? Yes. The ITO campaign is of the “All or Nothing” type. This means that if the SoftCap is not reached before the end of the ITO, all contributions will be returned. This functionality is fully integrated into our Smart Contract. What is the DTRC token type? Today, the DTRC token is a standard ERC20 token. With the transition to its own blockchain, it will be exchanged at the rate of 1 to 1. Where to store the DTRC token? How many tokens do I get for …. BTC/ETH/etc? Use the calculator on site to find out how many DTRC tokens will be credited to you when paying the specific authorization amount. What is the best wallet to store DTRC token in? Is there any referral program for the ITO participants? What will you do with undistributed tokens? My token balance shows up 0. What to do? - entered really YOUR address – and not the contract address or the address you have sent the payment to. In case of any additional questions, you can always contact us. I do not receive a registration acknowledgment letter, what to do? Despite the fact that Datarius sends newsletters only to its own users, some postal services may land the correspondence to the spam. Therefore, first of all, check your SPAM folder. If you still do not receive the activation e-mail, you can try to register with another mailbox (later it can be changed). If you do not have such opportunity, you should immediately contact us to promptly resolve your problem.